Eat, Drink and Be Merry……. Sitting down for an extravagant Christmas meal with all the trimmings and gorging ourselves is a family tradition. I look forward to our Christmas dinner and I even enjoy all the preparation it entails. I’m sure that is the case for most families on Christmas day. 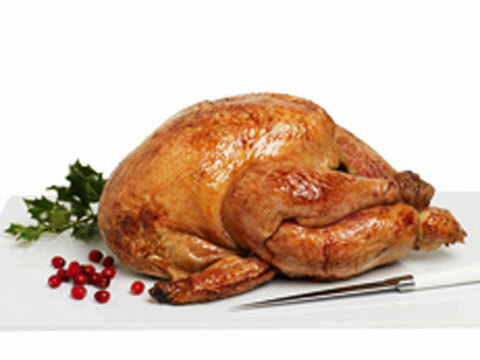 Christmas dinners are known to be luxurious and abundant with the traditional Christmas turkey. Most of my Christmas memories are that of sitting round a huge table with family members squashed around it like sardines. A famous Christmas dinner scene appears in Charles Dickens A Christmas Carol where Scrooge sends that largest turkey in the shop to Bob Cratchitt for their impressive Christmas feast; again it is something that has remained in my childhood memories. Isabelle’s Christmas Advent Calendar will be covering all aspects of Christmas food and drink, featuring recipes, ideas and even some great competitions. To kick off our food section this year courtesy of Westin Gourmet we are offering one lucky reader the chance to win “The Spectacular Christmas Box” – containing Christmas Dinner, A sneaky Christmas morning breakfast and after dinner treat’s for a family of 4-7. An exclusive deboned Turkey Roast which means there isn’t an ounce of wastage and will easily feed 7+! This is how Christmas breakfast should be, just add a bap and enjoy before opening the presents. Sneaky bit Cottage Delight cake, while watching reruns of Only Fools and Horses – yes please! Westin Gourmet source their produce from the most reputable farms in the world, to give you the very best in tasty gourmet meat. Enter now for your chance to win this fantastic prize of fresh quality meat delivered direct to your door in time for Christmas. Westin Gourmet have a wide range of restaurant quality produce which you can see on their website. It would be great to win a Christmas Feast with Westin Gourmet and Not Always Right – nsaves all the shopping! Ooh fantastic! I’d like to win a lovely Christmas feast! I’d like to win a Christmas Feast with Westin Gourmet and Not Always Right!!!! Now I’m hungry just thinking about it. I’d like to win a Christmas Feast with Westin Gourmet and Not Always Right. I’d like to win a Christmas Feast with Westin Gourmet and Not Always Right, as that would be our large brood fed. My partner has five children from his first marriage and we have two together. Would be great, something for everyone. Because they all come to our house at different times throughout the day!! Oohh what a lovely prize to win… Stress free shopping!! I’m practically drooling having just read all that! I’d like to win a Christmas Feast with Westin Gourmet and Not Always Right! I would like to win a Christmas Feast with Westin Gourmet and Not Always Right! I’ve liked on facebook. I would love to win this prize because I love Christmas and can’t wait for the tree, presents and lovely, lovely food!